Leverage the WiFi4EU opportunity with Tanaza! Are you an MSP or an ISP/WISP? 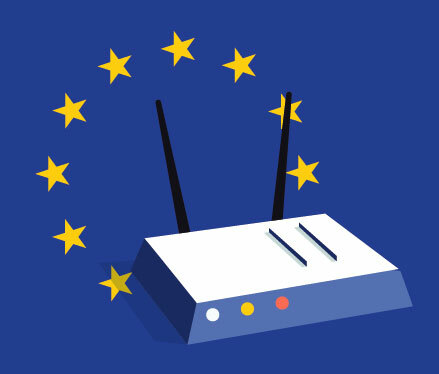 Offer your WiFi services to the WiFi4EU project applicants using Tanaza! WiFi4EU is the initiative approved by the European Commission that aims to equip public areas within Europe with little to no Wi-Fi connectivity with high-quality free Wi-Fi. As the European Union will only fund the purchase of Wi-Fi equipment and the installation costs of the Wi-Fi hotspots, the municipalities that want to partake in this project must pay their own related subscription-based services. Leverage the WiFi4Eu initiative and create new business opportunities by offering WiFi services to public institutions using Tanaza! Thanks to the free consulting services provided by Tanaza, you can effectively help municipalities create and maintain their WiFi network at a reasonable cost. Identify the best router needed for your Wi-Fi deployments, by leveraging our multi-vendor approach that allows you to choose among a variety of access points from different vendors. Manage, monitor and maintain the devices and if needed, change the configurations from remote, which implies huge cost savings. Fill the form below to get in touch with our Tanaza Business Consultants and get more information about WiFi4EU.